MIAMI, Florida, July 14, 2012 (ENS) – A new era of restoration for the Everglades’ vast but damaged wetlands began Friday with a favorable court ruling and an $80 million infusion of federal funding. A federal judge has approved an $880 million Everglades cleanup plan, a ruling that could lead to the settlement of nearly 25 years of lawsuits. U.S. District Judge Alan Gold issued an order Friday allowing the U.S. Environmental Protection Agency to grant permits for the plan’s water treatment and storage projects. Judge Gold’s ruling came in a lawsuit filed in 2004 by the Miccosukee Indian tribe, whose reservation is in the Everglades. 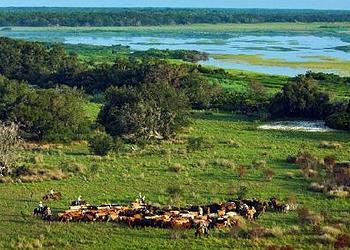 The tribe claims state and federal agencies have failed to enforce Clean Water Act standards in the Everglades. 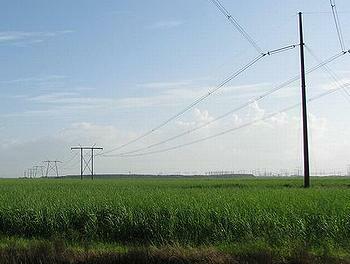 An environmental group, Friends of the Everglades, joined the tribe as a plaintiff. A similar lawsuit dates back to to 1988. The public will have an opportunity to comment later this month before the projects get started. But in the wake of the ruling, things are moving quickly to clean up the “River of Grass,” as the Everglades named by Friends of the Everglades founder Marjory Stoneman Douglas. Immediately after the ruling on Friday, the Florida Department of Environmental Protection received a letter from the U.S. EPA, Region 4, that a permit application the department had submitted for five stormwater treatment areas and water storage projects to improve water quality in the Everglades south of Lake Okeechobee is approved. The joint-federal state plan was developed in response to Judge Gold’s April 14, 2010 order, which provided a comprehensive blueprint under the federal Clean Water Act for improving water quality in the Everglades. This action paves the way for the DEP to move forward with Florida’s permitting process to implement the plan. Some 6,500 acres of new stormwater treatment will be built and permits will be issued for the operation of tens of thousands of acres of treatment areas already built. It will also create close to 110,000 acre-feet of associated water storage areas. Over the past 100 years, population growth, development, excessive drainage of wetlands, and resulting changes in water flow and quality have caused great stress to this fragile ecosystem, and stresses are only expected to grow. One problem is the overloading of the vast wetlands with phosphorous and nutrients from agricultural operations, mainly sugar plantations. Phosphorous and the other nutrients from fertilizers promote the growth of unhealthy vegetation that chokes native plants. Now, the Everglades will benefit from an $80 million infusion of support from the federal government, also announced Friday. U.S. Agriculture Secretary Tom Vilsack visited Kissimmee, Florida Friday to announce the new funding for support farmers and ranchers who voluntarily conserve wetlands on agricultural land in Florida’s Northern Everglades Watershed. Since 2009, USDA has invested $373 million to restore and protect more than 95,000 acres of wetland habitat in Florida’s Northern Everglades. “These investments are paying off, creating nearly 7,000 jobs in Florida’s economy and preserving thousands of acres of precious wetlands for future generations to enjoy,” Vilsack said. 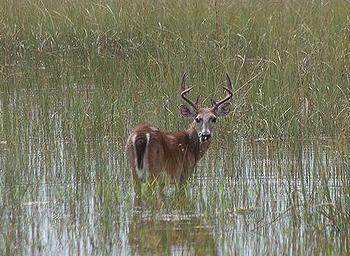 The new $80 million investment, part of the U.S. Department of Agriculture’s Wetlands Reserve Program, will restore an additional 23,000 acres of wetlands vital to water quality and wildlife habitat in the Everglades “River of Grass” system by placing these lands in conservation easements that permanently maintain that land as agriculture and open space. The funding will cover an easement on a property known as American Prime, a key habitat corridor for the endangered Florida panther. USDA, the U.S. 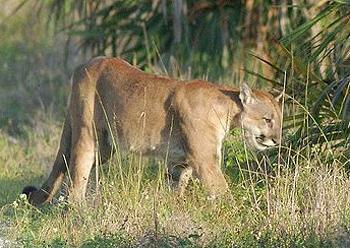 Fish and Wildlife Service and the U.S. Army Corps of Engineers announced in May that they have collaborated with private partners to protect this 1,278-acre piece of land in Glades County that is critical for panthers moving north. A female panther and two kittens were recently photographed near this property – the first documented evidence of a female Florida panther that far north since 1973. 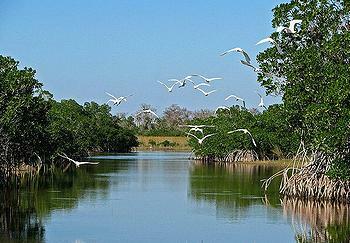 The largest subtropical wilderness in the United States, the Everglades is the primary source of drinking water for more than seven million people – more than a third of Florida’s population – and supports the state’s estimated $67 billion tourism industry, $13 billion outdoor recreation economy, and $100 billion agriculture sector. The Comprehensive Everglades Restoration Program, CERP, a 30-year program authorized by Congress in 2000, is the largest single component aimed at restoring the greater Everglades ecosystem. CERP focuses on modifying the massive flood protection system in South Florida to restore the Everglades and meet other water-related needs of the region, but progress had stalled during the Bush administration. “After a decade of little progress,” those days are over, the Obama administration said in a new report on restoring Florida’s Everglades, released Friday in Kissimmee. “For many years, efforts to restore adequate supplies of high quality water to Everglades National Park and the surrounding region were at best slow, and often times stalled. Lawsuits, State-Federal disagreements over respective commitments, and bureaucratic delays led to years of limited activity and dispute,” the report states. “Over the past three years, the Obama Administration has reversed that course,” states the report, by resolving conflicts and delays, dedicated funding to construct several CERP projects, and completed planning for several more. Overall, the Obama administration has invested $1.5 billion in Everglades projects, including nearly $900 million to jumpstart key construction projects that will restore water flow and essential habitat. These include restoration of more than 3,000 acres of the floodplains along the Kissimmee River and building a bridge as part of the Tamiami Trail to facilitate water flows to Everglades National Park. President Obama also has requested an additional $246 million in the Fiscal Year 2013 Budget to build on this progress and continue the investments, partnerships and projects that will return the Everglades to health. For its part, Friends of the Everglades takes credit for “at least budging” the state of Florida and the U.S. EPA to hold the line on federal law.